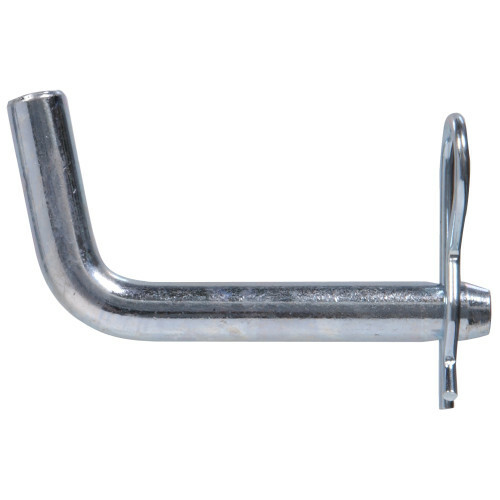 Manufactured for heavy duty steel construction, receiver hitch pins are most widely used as a quick, simple disconnect for trailer hitch receivers. These pins come with a retaining clip that prevent a wheel or other rotating part from sliding off the axle upon which it's riding. These pins have a zinc finish for moderate rust and corrosion resistance.